Full immersion 100 degree viewing angle with virtual 360° surround view. Adjustable Pupil Distance and Separate Focal Distance, satisfying different people. Compatible: 4.7 - 6.0 inch size Smartphones. 1. 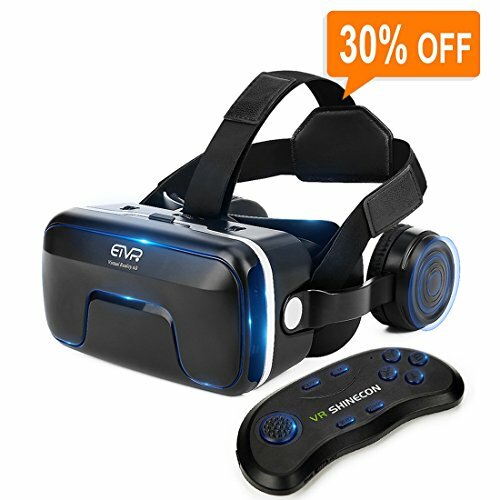 Download 3D VR video or games to test whether the device are split screen on the left & right sides and can play normally. 2. Open the cover plate, remove the phone case and insert your phone into the device, make sure the cell phone screen is in the middle, then close the cover. 3. Adjust the tension of the 3 headbands to the most comfortable mode and wear the headset. 4.Adjust the pupil distance once wear the VR headset, adjust the separate focal distance to get the best experience. It's also compatible with nearsighted person. 1.Please do not use the device when the mobile phone under charging. 2.Please use high resolution smartphones and HD videos above 1080P to watch 3D movies and games. 3.Please search "VR" in phone APP Store/Google Play to download virtual reality APP. If you have any questions about this product by EXCLEAD, contact us by completing and submitting the form below. If you are looking for a specif part number, please include it with your message.